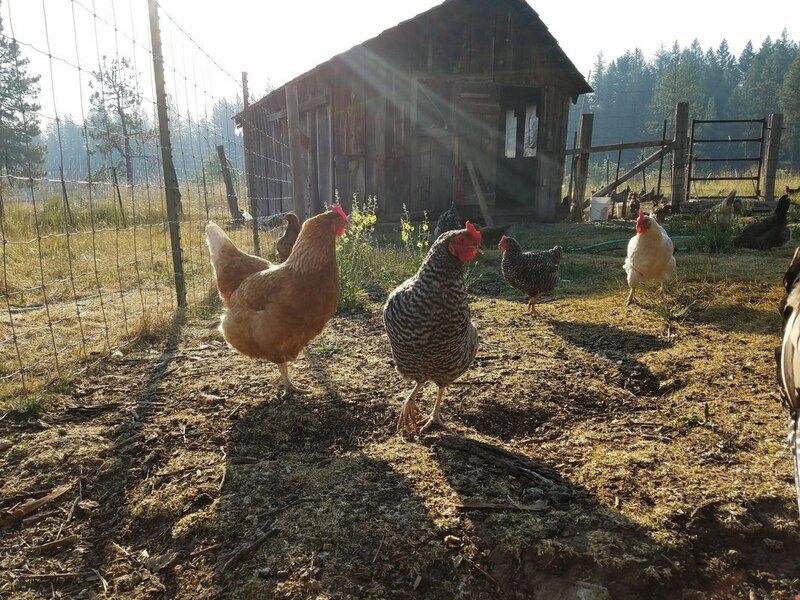 Our poultry is a barnyard mix of heritage breeds of over 60 laying hens, ducks and turkeys. 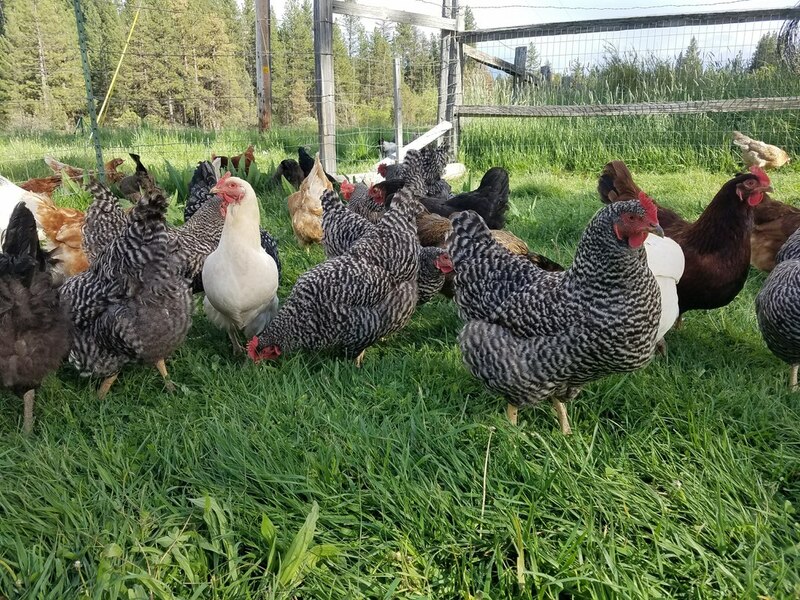 All of our poultry are pastured together in a multi species environment with sheep, and goats. Everyone is out all day, and tucked into barns at night from predators that may range from a small fox, to a large cougar or wolf. We ferment whole grains from Scratch and Peck to increase their digestibility for a variety of birds. 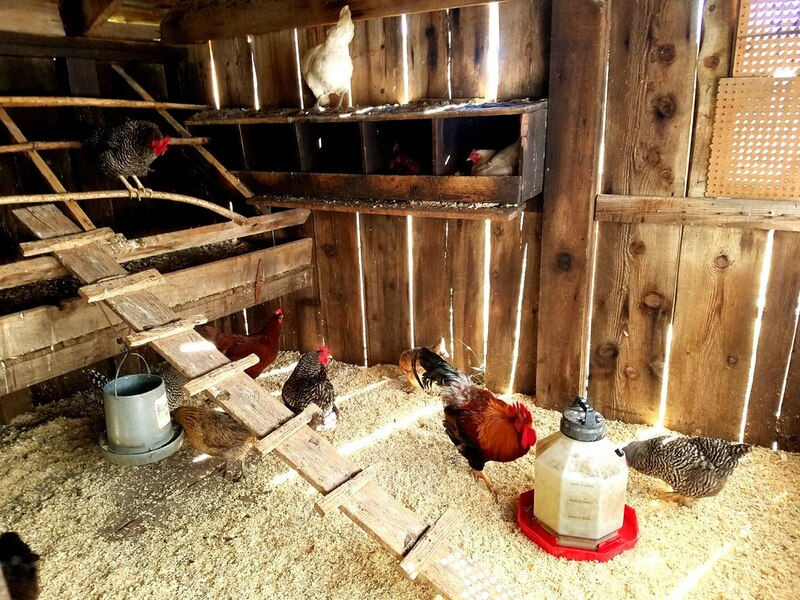 Poultry are supplemented with organic kelp, diatomaceous earth, oyster shell, nutritional yeast, and dried herbs. 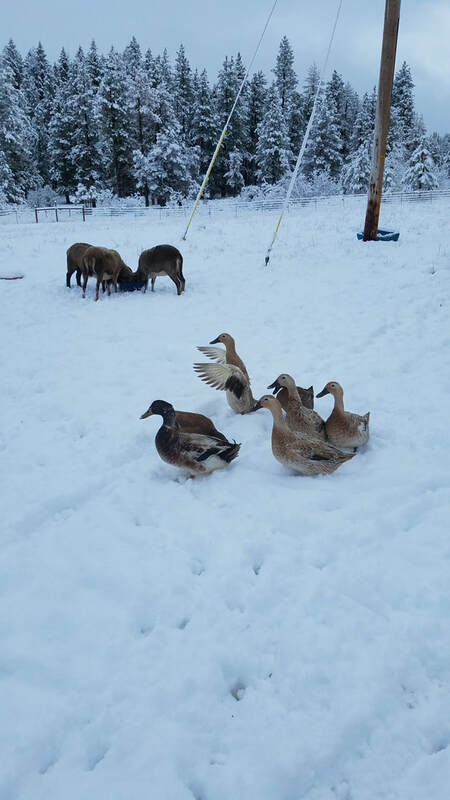 We have two breeds of laying ducks foraging across the property: Khaki Campbell and Welsh Harlequin. I love our Welsh Harlequin ducks which came from a breeder of stock from Holderread Waterfowl Farm in Oregon. In 2019 we hope to add in more of this variety. They have been excellent foragers, good layers, and an all around friendly duck breed. 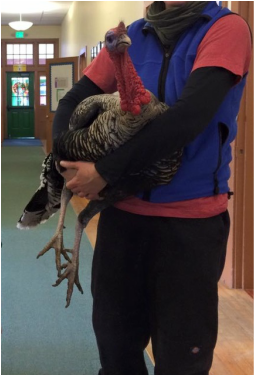 Depending on what is available, we bring the friendlier poultry into our local schools during their avian units and holidays. Of course, the biggest hit is always kidding season when we bring the goat kids into visit the classrooms. But the turkey likes to think he is the most impressive specimen.